Stone masonry is an art form in Scotland! 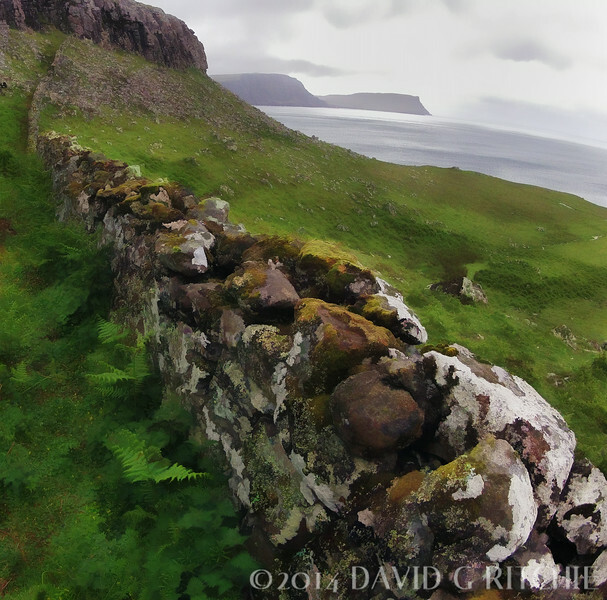 I wish I could date this particular stone wall that caught my attention on the Isle of Skye. I've modified the photo to emphasize the structural detail of the stones against this rough landscape.